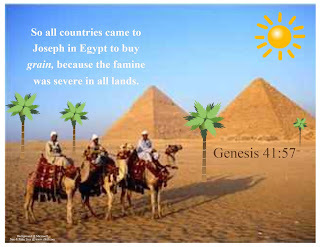 We continue with Joseph for today's lesson. 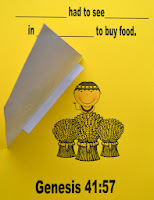 I did not add a craft for today, since we are "acting" out the lesson. The kids will dress up as the different people and we will go around the room to the different visuals. Review: Last week we talked about Joseph’s brothers being so jealous and angry at Joseph. Their father, Jacob, loved Joseph the most and he gave Joseph a coat of many colors. When Jacob sent Joseph out into the field to check on his brothers, they decided to sell Joseph to some traders for 20 pieces of silver. The traders sold Joseph in Egypt to Potiphar. Potiphar was the captain of the guard for Pharaoh. The brothers dipped Joseph's coat into goat’s blood and Jacob thought Joseph had been killed by an animal. But, then, when Joseph refused to spend time with Potiphar’s wife, she grabbed Joseph's coat and lied to her husband about Joseph. 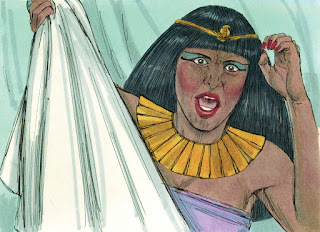 Potiphar believed his wife and put Joseph in prison. But, even in prison, God was with Joseph. The prison guard trusted Joseph to stay and guard the prison. 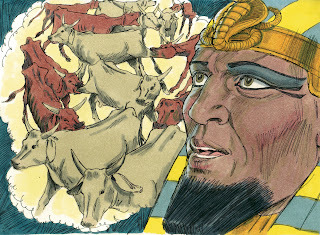 Later, the chief butler and chief baker had made Pharaoh angry and Pharaoh put them in prison with Joseph. They both had a dream and when Joseph came in the next morning, they were looking so sad. Joseph asked them why they were so sad, and they said they didn’t have anyone to interpret their dreams. Joseph told them that dreams belong to God and to tell him about their dreams. 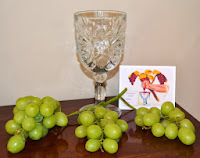 The butler said there is a branch and 3 vines and the blossoms popped open and became ripe grapes. The butler told Joseph that he had Pharaoh’s cup in his hand and he took the grapes and pressed them into the cup and gave it to Pharaoh. Joseph told the butler that the 3 vines meant 3 days and that he would be serving Pharaoh in 3 days just like he used to. Joseph asked the butler to mention him because he was in prison unfairly. The chief baker saw that Joseph made sense of the butlers dream; and he decided to tell Joseph about his dream. The chief baker said I had 3 white baskets on my head. 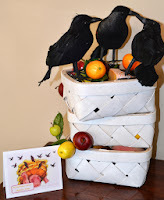 In the top basket were all kinds of food for Pharaoh, but the birds came and ate them off of my head. Joseph told the chief baker that the 3 baskets meant 3 days, and that in 3 days, Pharaoh would hang him on a tree and the birds would eat his flesh. In 3 days, it was Pharaoh’s birthday and he had a party for his servants. He called for the butler and chief baker to attend the party. He gave the butler his job back and hanged the baker. But the butler forgot all about Joseph. Now, 2 years later, Pharaoh had dreams that needed interpreted. He dreamed that he stood by a river and 7 fat cows came out and ate in a meadow. Then 7 sick, skinny cows came up and ate the 7 fat cows. The next time Pharaoh slept, he dreamed about 7 good ears of corn on 1 stalk and then 7 thin ears of corn came up in the east and ate the good corn. 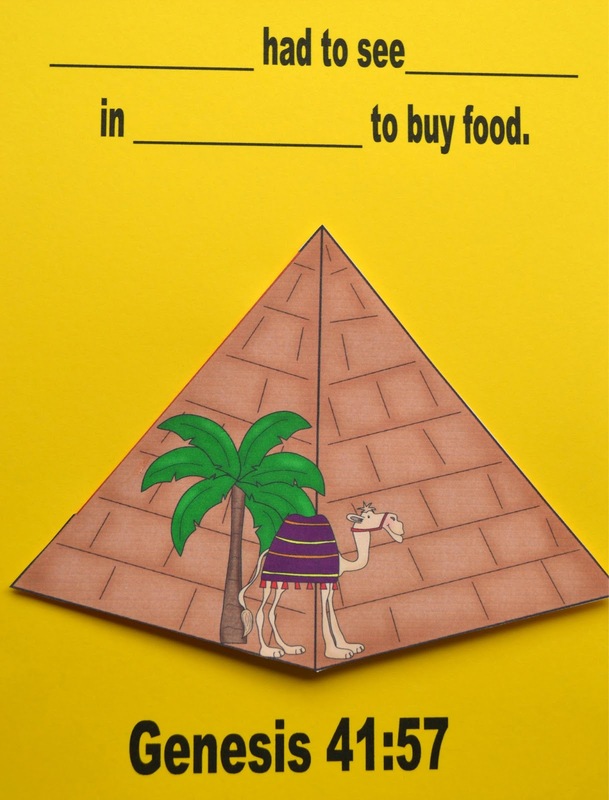 Pharaoh called for his magicians to tell him what they meant, but they didn’t know the answer! The butler remembered Joseph, finally, and Joseph was brought before Pharaoh after they cleaned him up. 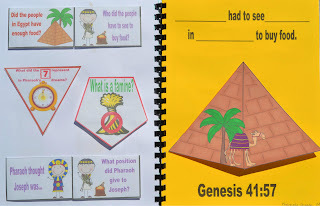 Pharaoh made Joseph 2nd in command, a Governor, and only Pharaoh would have more power than Joseph in Egypt! Joseph was 30 years old now. 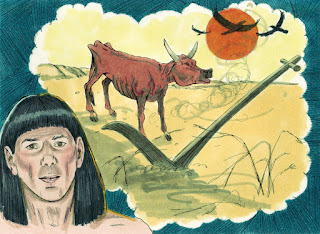 He had 2 sons during the 7 good years (about 1575-1568 BC), and when the 7 years of hunger came (around 1567 BC), Egypt had all the food they needed. The people in the lands around them ran out of food and when they came to Pharaoh to ask for food, he sent them to Joseph. 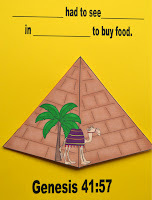 Whatever Joseph commanded to be done with the food, is what Pharaoh did. So, anyone that wanted to buy food HAD to see Joseph to do it. 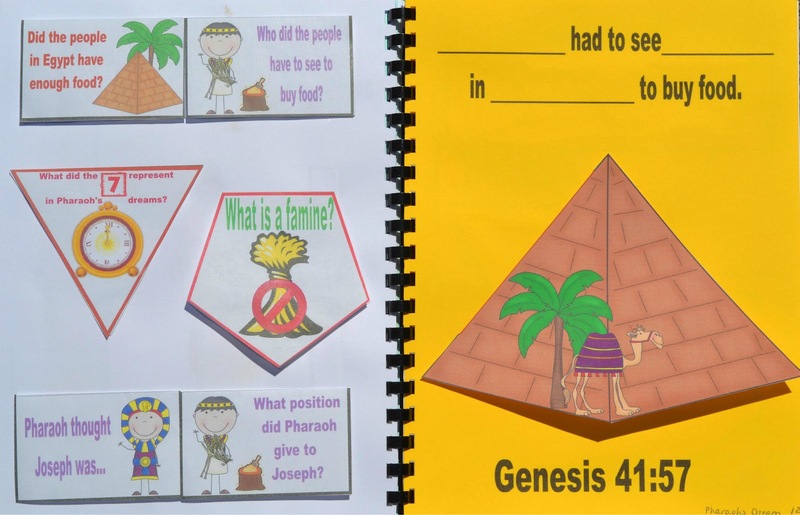 And, we will finish Joseph next week when Joseph's brothers come to Egypt to buy food! You can find baskets pretty cheap, I spray painted them white, since we are told they are white (40:16). I put some fake fruit, cheese, bread, etc. (I looked through my Granddaughters kitchen!) in each basket and stacked them. I added the birds to the top basket that you can purchase at Dollar Tree in the Halloween isle. I also purchased the glass you see at Dollar Tree. I bought a big container of grapes at Sam's Club and it just happened to have a section of grapes with one stem that had several clumps of grapes attached. I removed the smaller ones, and kept the 3 sections attached. You can print the tags for the butler and chief baker here. 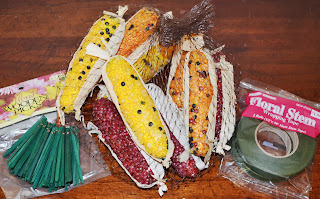 To make the 7 ears of corn on one stalk, I purchased fall decorating ears of corn, floral wrapping tape, floral wooden picks (2.5") and a 1/2 or 3/4" dowel rod. My husband cut the 6" round base and drilled the hole to insert the dowel rod. He drilled random holes in the dowel rod for the floral sticks to be inserted. You can see from the left photo, how it looked. Then, we used an electric stapler to attach the leaves I already had. 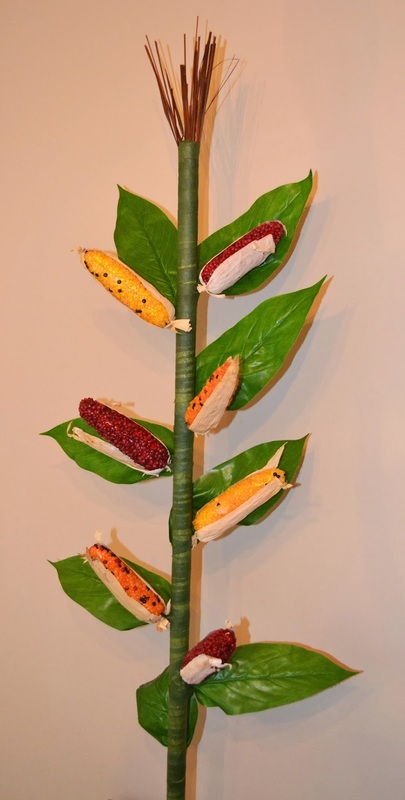 We started at the bottom and wound the floral tape around to cover the dowel rod and add more strength to attach the leaves. I used some of my "stuff" (? deco stuff in a giant pot ☺[Sometimes you are just winging this craft stuff!!]) for the top of the corn stalk. 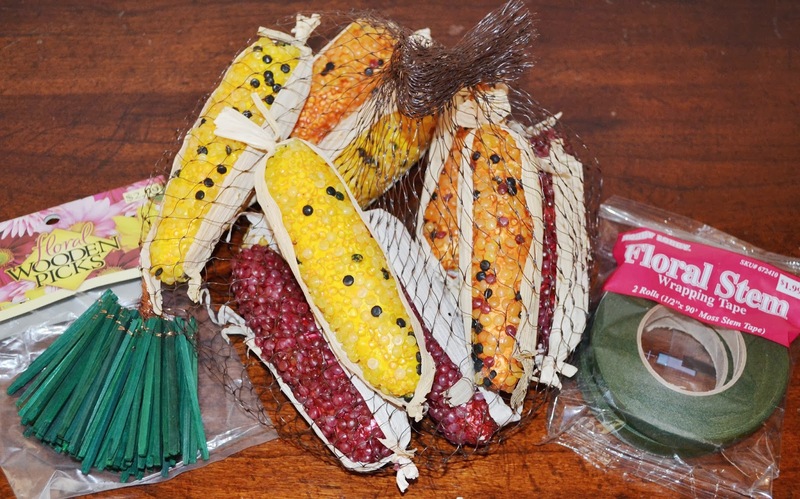 Then, we just pushed the ears of corn into our little sticks, and they can be taken out to store it. Anyway, you can finish off the base with felt, moss, whatever you have! Chief Butler Visual is here. Chief Baker Visual is here. I have included directions for some of the visuals. Most I have used for years. 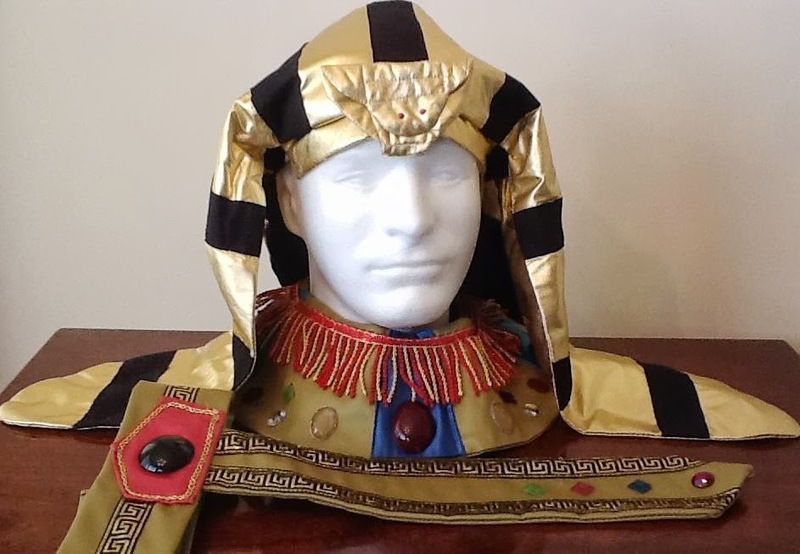 I made the Egyptian outfits years ago, and the kids love stuff like that! Since Pharaoh is having a birthday party, we are having a small snack feast, which they also love! I just don't have food unless I can make it go with the lesson! They each have a headdress, neck ring with Velcro's and a belt that ties. 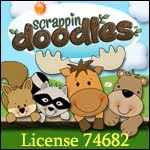 I made these, but you can look on Amazon or EBay etc. to look for these costumes. They can also be found in October in specialty stores. Here is today's Bible verse. There are 6 on each sheet (for a class). You have such great lessons. Dressing up and acting it out is a great way to learn. Thank you! Thanks for hosting the link parties! Thanks for stopping by! Wow, you really went all out! My kids also liked acting out Bible stories. 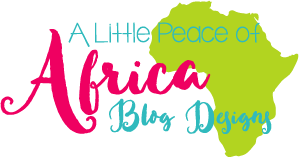 You might want to look at my blog to get some discussion questions and homeschool projects to go along with your outline. Right now I am around the same spot in the Bible. Take a look at Enjoying the Bible http://enjoyingthebible.wordpress.com. 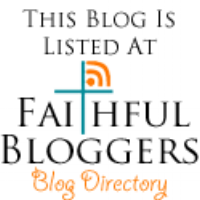 I will check out your blog posts! Thanks for stopping by! 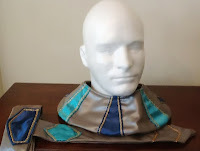 Can one order Joseph and Pharaoh head and belt piece that you show on this page? and where from? 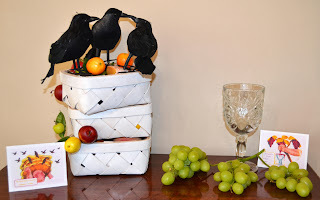 I actually made these years ago... but now is the time to look for items like this and other things you can use for Bible lessons and area Halloween stores. My giant snake for Moses, chains for Paul, etc. I just wander around and see if anything looks like I can use it. 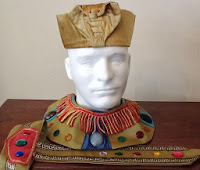 You can look on Ebay.com and Amazon.com... put in Pharaoh costume for the search and there are a LOT of choices! Thanks for stopping by. Hi, greetings from the Philippines :) i came across your blog while searching for lesson materials for our sunday school and outreach classes, and this has been very helpful.. I want to thank the Lord for your life as you freely share your works. May you be blessed more. God Bless! So glad you stopped by! Thanks for the nice comment. I am glad you can use materials!